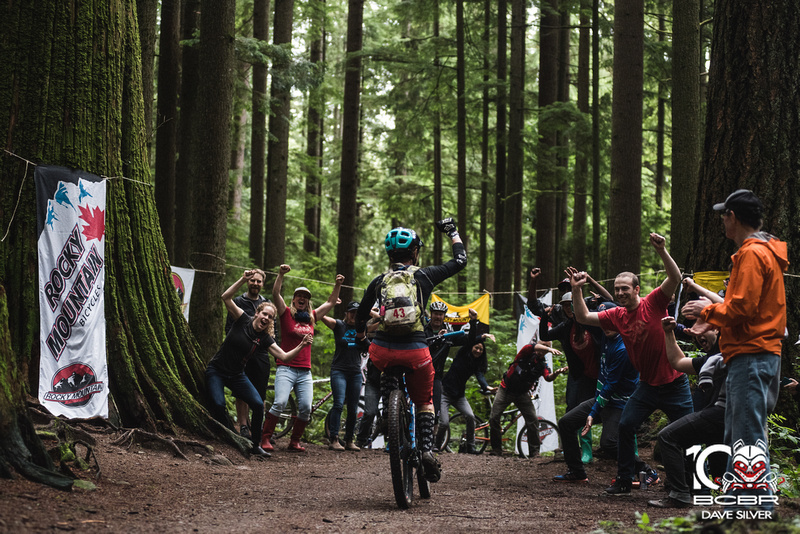 Day Five of the BC Bike Race, presented by hometown bike company Rocky Mountain Bikes, may have been short in distance but turn for turn it was packed full of the most fun technical riding of the week. Today was the day to flip the switch open on your suspension and get in the game because hesitating was not an option. 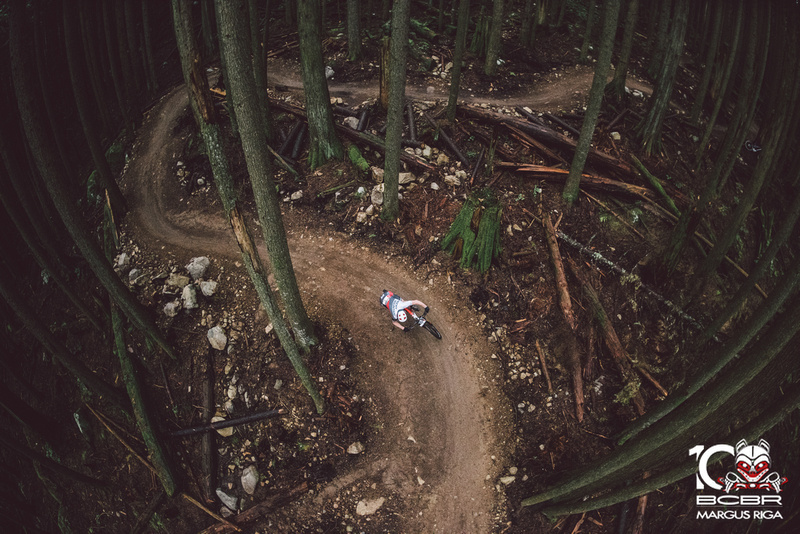 The formula for success was to stay on top of your bike and let it wiggle through every rocky and rooty funnel as you cascaded your way down Seymour Mountain. This is where bike design has progressed the entire industry for the better as bikes are asked to navigate more challenging terrain at higher speeds than ever before. To squeeze out every bit of fun the shore has to offer a well rounded bike has to jump everything, corner anything, drop steep chutes, and climb like a goat. This year’s stage sent riders off in groups of five at 15 second intervals. The unique format helped ease the congestion of sending 600 racers off at once on a 15 km course. The start and finish combined with the time-trial format at Park Gate Park allowed a course design that optimized fun and quality from start to finish. 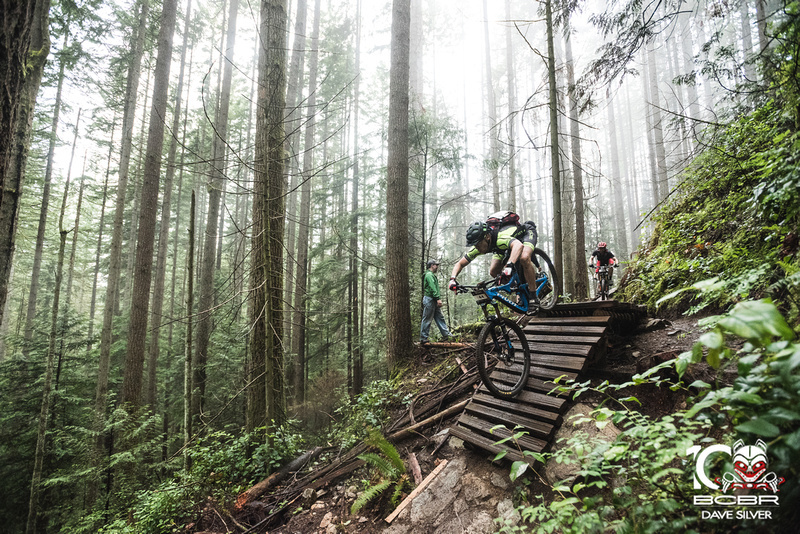 Seymour Mountain has always been the “North Shore” to the locals, but the rest of the world has a narrower view of the shore and often overlooks this staple to the local riding community. It is here you will find trails still holding on to some old-school feel while mixed with more and more rebuilds of old trails such as Good Sir Martin and Penny Lane which combined got over 1880 hours of rework recently. 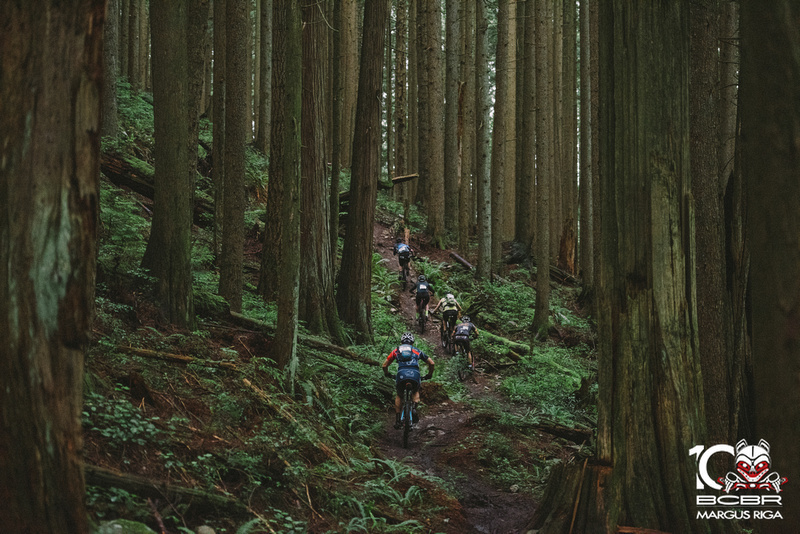 On truly technical trails, like those of Seymour Mountain, local riders have a chance to shine in a unique way because every nook and cranny has become as familiar as family. These are the people you want to follow if you're a trail tourist looking for the best way to spend your time in unknown terrain. This year two of those locals happen the be the oldest and youngest riders of the race while another rider was the winner of the NSMBA and Rocky Mountain entry giveaway. Blake Ramsden at 20, and Christine Thorson at 64, sit on opposite ends of the age groups, but each was inspired by family members who have a long history in the local mountain biking community. Young shredder Blake Ramsden (Steed Cycles/ Mom & Dad) at 20 years old is holding a top twenty position overall and pulled a 13th for the day despite a spill that caused a momentary bar straightening break. His dad has raced the BC Bike Race six times as well as many other international stage races, and it was his example that turned Blake on to the idea of 7 days of singletrack exploration. A former downhill ski racer, Blake made the transition to the bike and has been turning heads as a rider with a trail vision and athleticism usually reserved for more veteran riders. 64 year old Christine Thorson of North Vancouver surprised her son one day six months ago with the announcement that she wanted to do the BC Bike Race. Her exposure to the event had been through the videos her son, Connor Macleod, had been making for the race for years as one of the event’s main videographers. With a competitive nature she had been racing road bikes for five years and took on cancer for the win. She didn’t let her lack of time on a mountain biking deter her from jumping in with both wheels. She worked with skills coaches from Endless Biking and fitness coaches from TAG Coaching to prepare. Her son’s pride and the growing admiration from her fellow riders has been increasing every day as she smiles her way through each stage. The other local face in the crowd is Peter Reid of North Vancouver who might be most recognizable by the fact that he’s riding one of the few hardtails in a race in which full suspension is considered king. Reid won his entry from a raffle that was co-sponsored by the North Shore Mountain Bike Association and Rocky Mountain bicycles. Despite being a local he has gained a new perspective on the event and the trails he rides all the time. There were three races today. Two for the people who have been at it for four days, and one for 2-9 year olds who have a whole life of potential racing ahead of them. The tradition of the kids race has been carried on this year by the EA Sports company who sponsored the North Vancouver event. Almost 60 kids came out to rip around a short course in the Park Gate Park and practice their best peloton tactics. EA Sports will have some of its employees riding as guests in Squamish. No doubt they will get a good taste of the BC Bike Race circus during the Squamish Industry Day. Kelli Emmett (Juliana / SRAM / Lululemon Athletica) squeaked out a win today after a front flat on the first descent that caused her to hit the tire with a quick blast from her CO2. She had to make it quick because Kaysee Armstrong (LIV Giant) was on fire, motivated by the terrain that pointed in her favor. Armstrong grabbed her first second of the week finally taking some time out of Sammi Runnels (Ride Biker Alliance) who had built a substantial lead on her. It was another exciting day of men’s racing as Cory Wallace (Kona Bikes) charged hard again in search of the time he lost on Day 3. He worked with his teammate Spencer Paxson on the opening climb up Old Buck taking turns attacking the rest of the lead men. 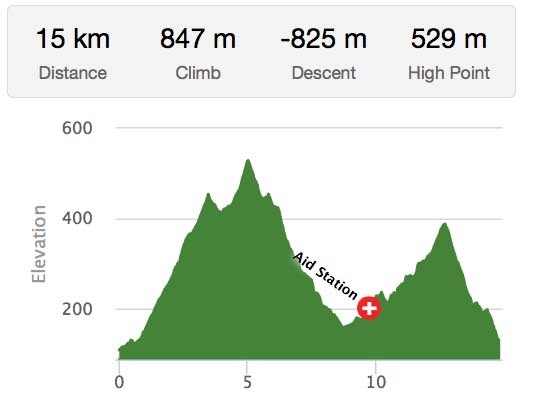 The theme of the day was to go just hard enough to build pressure but not blow the cap off the next two days of racing. Stephen Ettinger (Ride Biker Alliance / Focus) managed to hold on to the pace of Wallace and Paxson until the descending speed started eating at his confidence and he couldn’t bridge back up. In the end Paxson held onto the leaders jersey by a thin 22 seconds, and Wallace moved into 2nd place just 11 seconds up on Ettinger. 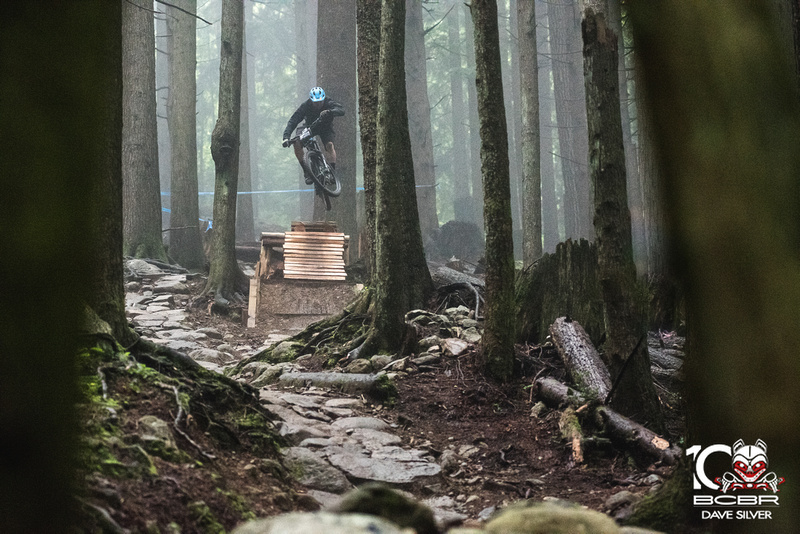 The race within the race for the BC Bike Racers was the new Red Bull Downtime North Shore edition which was a super-d style timed section of trail. The featured trail was the 1.5 km Forever After which had the full menu of trail features you’d expect from from the shore. The local-living Australian Dylan Wolsky (Nomads) took the Downtime win by 22 seconds over Tristan Uhl (BikeTuhl) and the rest of the field. Spencer Paxson (Kona Bikes) came in third another 14 seconds back. In the Women's division Kelli Emmett (Juliana / SRAM / Lululemon Athletica) took the win but it was the Swede Nadege Vetterli (The Bike Barn Penticton) who made the big move with a 2nd place finish. Kaysee Armstrong (LIV Giant) was third and had almost a full minute on the nearest rider behind her.